BharatBenz has just launched the BS4 range of trucks and along with that, the trucks have undergone a cosmetic and feature upgrades as well. Under the tagline of ‘Profit Technology’, Daimler has introduced all-new BharatBenz heavy-duty trucks – designed to deliver better productivity, efficiency and safety. There are new cosmetic, safety and convenient features making the trucks more appealing and increases productivity as well. With these new features and updates, BharatBenz is preparing to take the competition ground to next level. Lets see them in detail. The interior are now revamped with a new, washable seat fabric that provides even more better seating comfort and allows easy maintenance. The premium variant comes with features like all-black interiors and a dashboard with a wooden finish that improves the ambience of the driver’s workplace to a luxury-like look&feel. The quality of plastics, fit and finish, gap and flush were much superior to any road going trucks. The most distinguishing exterior feature of the all-new BharatBenz heavy-duty trucks is their bold new front face. The grill is now extended towards side and making it smile wider. 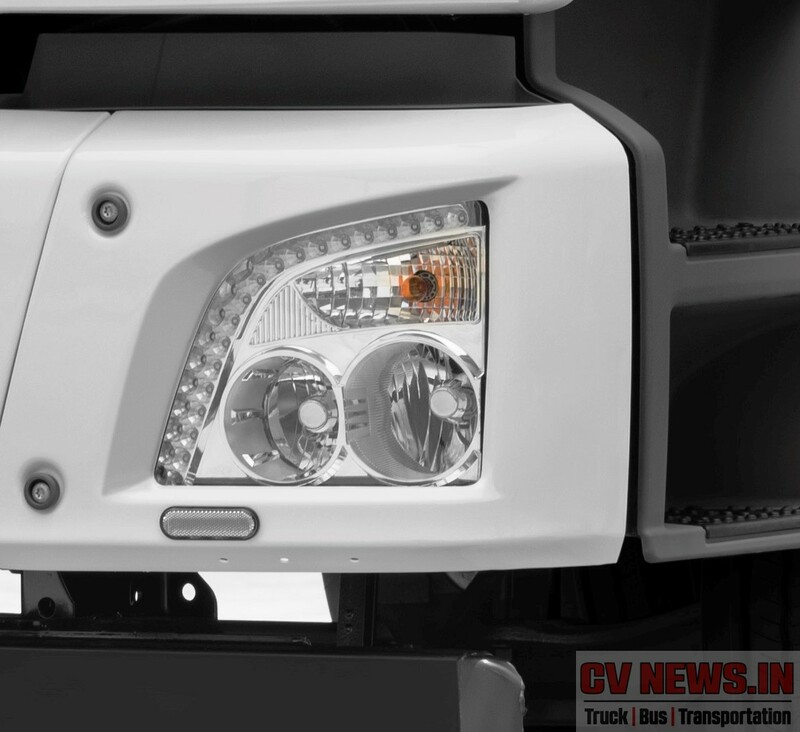 Trucks now features a dual chamber headlights and a day time running LED’s. The front facia updates are now common across Fuso, Mercedes Benz and BharatBenz range of trucks produced from Daimler’s Chennai plant. Now the BharatBenz trucks are available with Std and Premium range and for the premium variants, a body-coloured bumper underline the family ties to the all-new range. Also the old Ford GT inspired racing strips makes a head turn as well, though something unusual for trucks. Understand this will be a part of dealer fitment. The BharatBenz BS4 truck range is available since August 2015. By the end of March 2017, more than 1,000 BharatBenz BS4 trucks had been delivered to customers and clocked up more than 42,00,000 kilometres. Feedback collected from these early customers has been very positive. BharatBenz BS4 trucks meets the upgraded norms using SCR technology. DICV had tested this technology in Indian operating conditions for over a million kilometres before starting to roll it out to customers in 2015. The SCR technology uses an aqueous urea-based fluid called AdBlue, which is sprayed into the exhaust stream to break down dangerous nitrogen oxides emissions into harmless nitrogen and water. 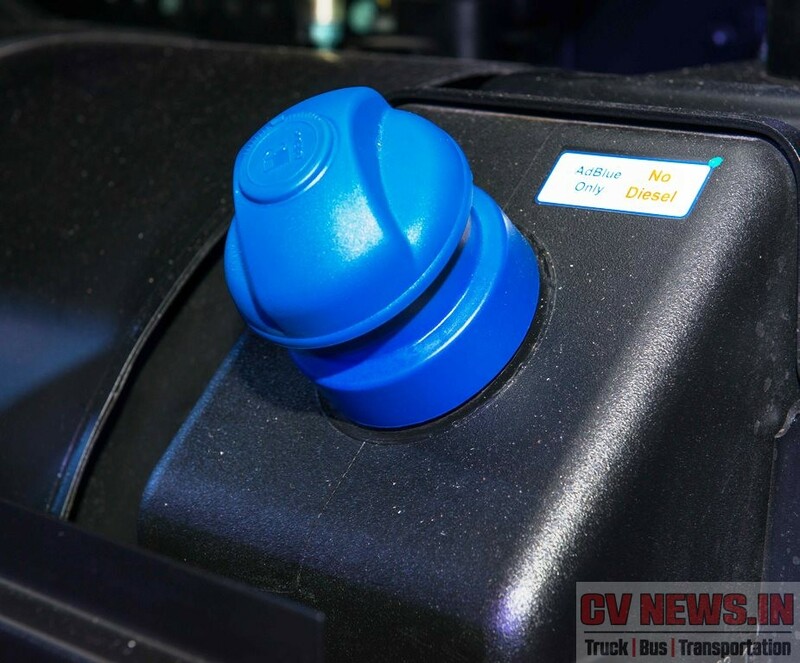 AdBlue consumption is around 1:20 ratio to fuel filling. Adblue is available nationwide at all BharatBenz dealerships and other outlets. 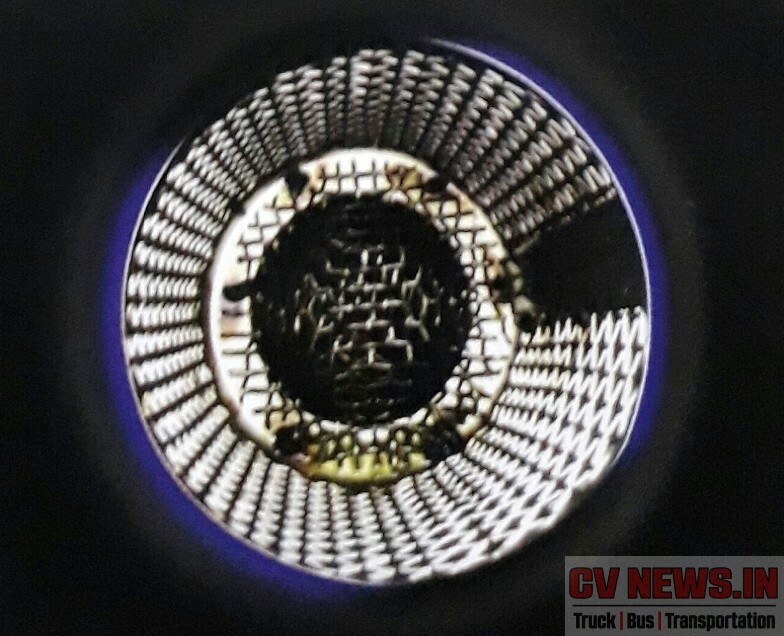 Daimler claims superior fuel performance compared to BS3 for the reason now engine and emission control are separated and engine is now allowed to run at optimal and maximum efficiency. The emission control is now a separate entity and ensures the tailpipe output is meeting BS4 regulations. Daimler has also announced that its BharatBenz range of trucks now are more light weight upto 400kgs (model comparison 3123R) making more room for increased payload. Daimler has also claimed multiple improvements has been done across the entire vehicle, such as optimized auxiliaries, aerodynamic changes, and friction reductions and collectively they have lead upto twin digit fuel performance improvements. Continuing to build safety as its core strength, BharatBenz all-new heavy-duty trucks are now equipped with new range of safety features as well. Cruise control is an important feature for fatigue less driving and now BharatBenz trucks are now offered with the same. Reverse camera so far is seen as a premium feature which isn’t and should be more of safety feature. Thanks to BharatBenz to offer them in premium variant. 295 section tubeless tyres are now offered across the range of haulage models and these tyres in comparison to tube tyres offer higher stability and better tire life. 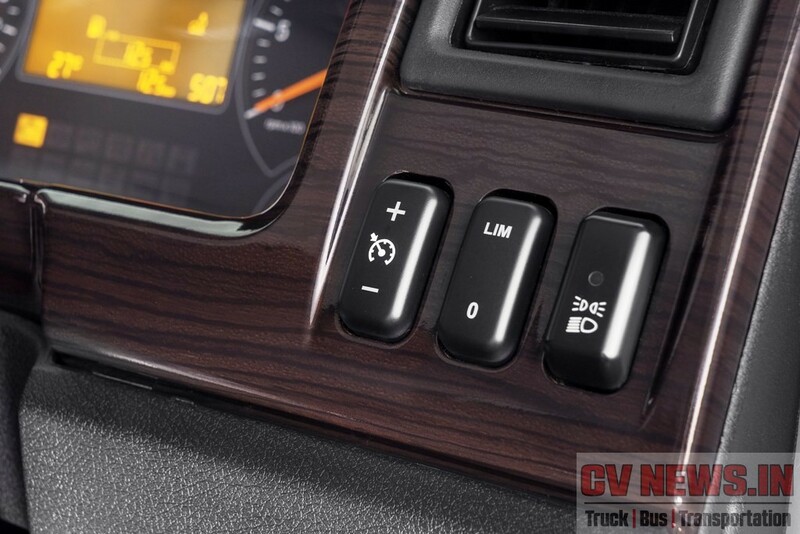 The Best part is the Air condition is now available across the range of trucks. We did experience the Air conditioning comfort in 2528C tipper which was offered to media as a part of test drive and demo. In the scorching Chennai weather, it was uber cool inside. Another smart feature added is fuel theft protection device. This was first seen in 1617R and the same is now available across range. 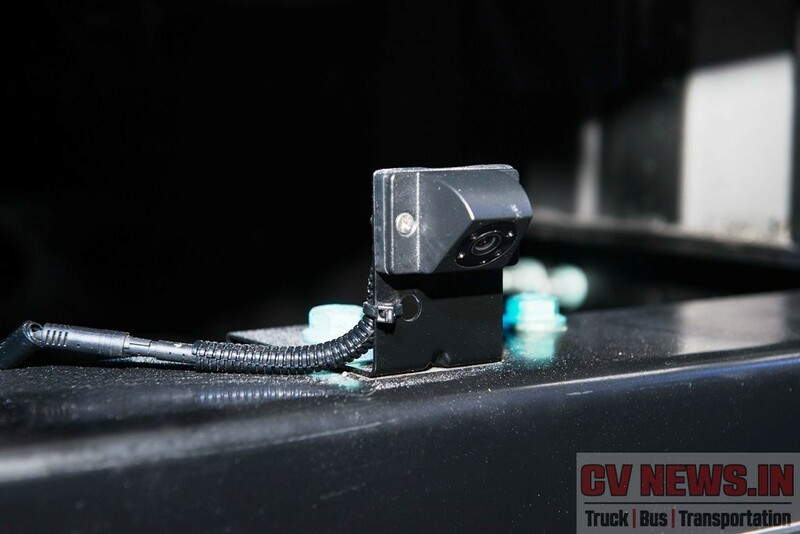 This ensures the drivers don’t get access to diesel directly from the fuel tank and was widely appreciated by many Customers as well. Apart from these updates, oil drain intervals across aggregates is now synchronised. Engine oil at 50,000 kms and there after 100,000 kms(when extended oil drain is choosen with CI4 plus 15w40). Gear box oil at 200,000 kms for 9 speed gear box and 100,000 kms for 6 speed gear box, differential oil at 200,000 kms(date ref for haulage models). 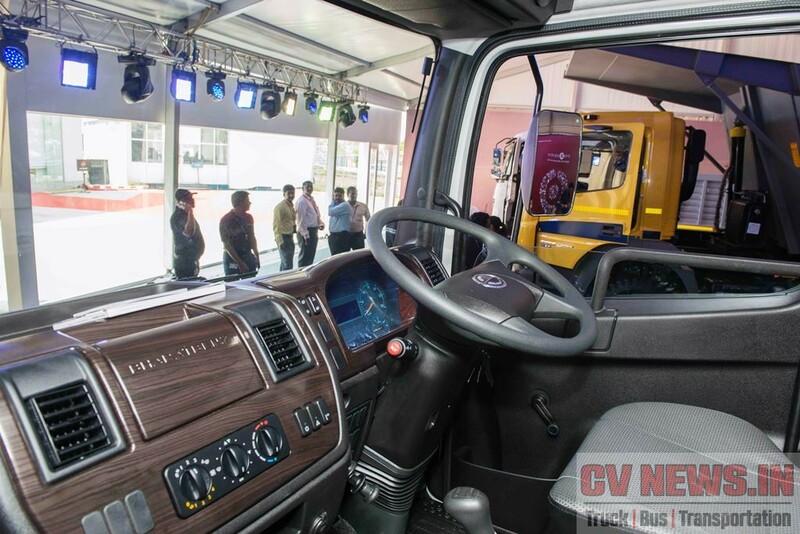 With all new features and updates, as said BharatBenz is moving the market to to next level. With more thoughtful features and options, its the Customer and drivers who are getting benefited and finally at the end of the day, these machines deliver more productivity than before. 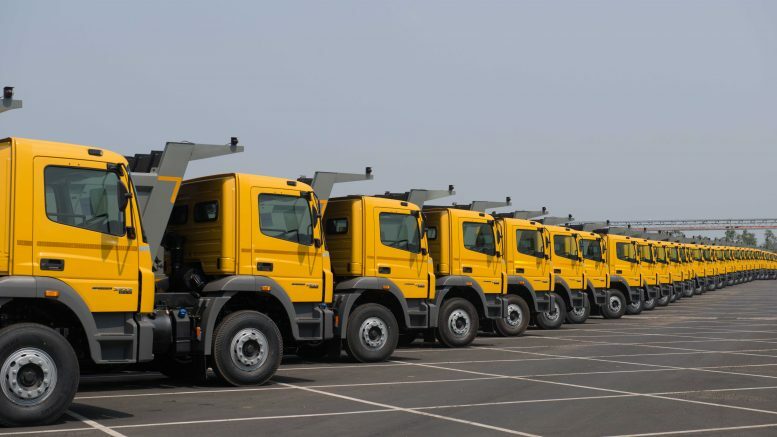 30th June 2020 – Deadline for registering fully built BS IV vehicles. 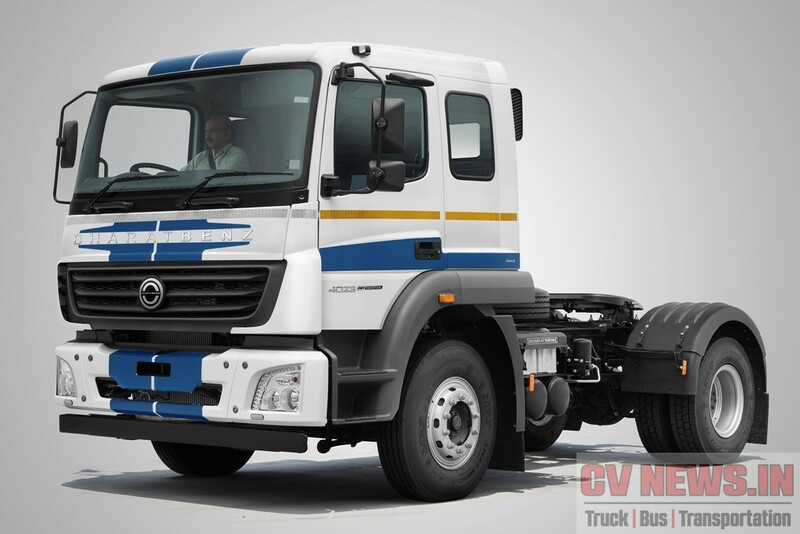 3 Comments on "New Features – New options in BharatBenz BS4 trucks. All you wanted to know." Much stunned to note the great level of fit n finish in domestic CV.. also prodigious thanks to the analysit for providing the micron aspects like fuel theft device, syncro / extended and lub drain level etc… which was undetected by me… keep going…. Any idea how much DEF/Adblue/AUS-32 costs in India?